However, a pet store Gerbil/Hamster seed mixture will do just fine as long as it does not have too many added fruits. Cracked corn should be avoided as improper storage [ie., too damp] may promote the production of mycotoxins from fungus/mould/mildew growth. Besides Purina Checkers Chin Chow, there are a number of other commercial brands of Chin pellets, including Mazuri 5M01, Briskies, SunSeed, L&M, etc. Mazuri is highly regarded in the USA but would have to be imported at extra cost to Canada. Note that Mazuri is owned by Purina and that the nutritional formulae for Mazuri and Purina Chin pellets are likely fairly similar. In Canada, we can also obtain Masterfeeds and Shur-Gain Chin pellets in bulk sizes [ie., 25 kg bags] . The former is considered to be on par with Purina. Many ranch-specific Chin pellets are milled but are not normally available to others. However, one notable exception is the well-regarded Kline Diet. Contact Carole Kessler kessler@dreamscape.com for ordering details and testimonials. You may safely substitute Cavy or show-quality Rabbit pellets [contact ChinMom ChinMom@earthlink.net for details] for the Chin pellets. In fact, Cavy pellets may be a wise choice since they typically contain added Vitamin C to compensate for the fact that Cavies/Guinea Pigs apparently cannot synthesize their own Vitamin C ,and normally obtain it from succulent vegetation. [Mazuri Feeds discusses this in their Vitamin C Article .] ChinMom discusses the implications of Vitamin C supplemetation for Chins at California Chins . On the otherhand, show-quality Rabbit pellets benefit from the fact that nutritional research for Rabbits is quite current. The nutritional formulae for Chin pellets are apparently many decades old and may not provide optimal nutrition for all life stages. In particular, lactating females require calcium supplementation: otherwise, the calcium needed for milk production, especially if she has large litters, is leached from her skeleton and muscles. For owners with one or two Chins, Tums tablets [ie., 3-4 tablets per day] rodent calcium blocks, boiled soup bones and/or cuttlebones would be suitable. For large numbers of Chins, Calf Manna is more convenient. It can be mixed with the Chin pellets at the rate of 10-15% by volume. Note that even though my pellet mixture contains 25% Calf Manna, my Chins receive pellets every other day, so the net Calf Manna contribution is only 12.5%.] We have found no evidence that Calf Manna contributes to kidney stones, even if eaten by males and non-lactating females. A key indicator of calcium insufficiency in the diet [or problems in metabolizing it] is the lack of yellow/orange colouration on the front aspects of the incisor teeth. Purina AniMax [contact Lonestar Chinchilla chuck@usac.net ( http://www.lonestarchinchilla.com/ ) for availability] may be substituted for the Calf Manna. Equine Senior is a horse feed with extra mollasses added for the benefit of older horses. Some breeders in Texas started using it to compensate for the poor hay quality in their area. Afterall, the Chin digestive system is quite similar to that of horses. However, Equine Senior has also proven to be quite useful for Chins because it contains [via the mollasses] iron in metabolizable form, and seems to promote nice plump droppings. Furthermore, even though white incisors are indicative of dietary calcium insufficiency, the colouration is generated by iron oxide in the tooth enamel. Accordingly, the iron in the molasses likely plays a key role in the utilization of the calcium in the feed. Alpha Classic Foal pellets may be used instead of the Equine Senior. A common question for Chin owners involves which type of hay is needed by Chins. Both Alfalfa and Timothy hay should be provided as they fulfill different and complementary dietary needs for Chins. Other types of hay such as Fesque, Brome, Orchard Grass, Clover [if the flowers have been properly dried: otherwise, they tend to mould] , etc may be considered. Alfalfa [Lucerne in Europe] is considered valuable not only for its higher protein content but also for its high(er) calcium level, and is a type of legume along with clover, red clover, white clover, soybean, etc. There is no [reported] evidence yet of Alfalfa contributing to kidney stones in Chins. In fact, many of us supplement our Chins' diet with Calf Manna [at approximately 10-15% by volume] . Chins are adapted to surviving on dry(ish) grasses, sages, etc rather than succulent vegetation. Accordingly, Timothy, like other grasses such as fescue, sorghum, orchard grass, brome, etc. [Species: Forages Information System - Forage Grass Species http://www.forages.css.orst.edu/Topics/Species/Grasses/ and Grasses: Kentucky American Seeds http://www.kentuckyamerican.com/kyamerican/Products/grasses.htm ]. is valued for its higher fibre content and consequent ability to promote/maintain intestinal motility. While many provide hay as an extra dietary component [ie., a supplement or even a treat] , we maintain that hay should be a primary component of the diet and that a Chin can be maintained indefinitely on a hay diet [along with a grain/seed mixture] , depending upon the type and quality of hay, of course. Whether one provides hay in the form of mini-cubes or loose is really a matter of preference on the part of the Chin(s) and/or the owner. Note however, that loose hay seems to have a longer shelf life than hay mini-cubes once the package is open and that Chins seem to garner greater satisfaction in chewing loose strands of hay. CA Chins: "How to choose hay"
Moderation and consistency is the key here. Chins, and pets in general, really don't need treats. Admittably, it is hard to resist a Chin begging for a raisin. The best treats are dried fruits such as raisins or banana chips. Processed foods typically designed for humans [ie., crackers, cookies...] should be avoided as they are sub-nutritious. An excessive amount of sweet treats not only distracts a Chin away from its normal food but also has the potential of disrupting the digestive system. Specifically, Chins have a specialized digestive system designed to process high-fibre, low-sugar plant material such as hay, grass, and seeds/grains. Nevertheless, they retain a "sweet tooth" as a inducement to find high-energy foods during periods of high activity. And, therein lies a potential problem. All of the food a Chin ingests is processed primarily in the intestines by a resident bacterial culture. However, cellulose [plant fibre] is broken down into sugars and simple starches by certain species of bacteria while other types breakdown the sugars and simple starches for absorption through the intestinal wall. These two populations are maintained in a dynamic balance [in a process called "Copraphagy", sometimes a Chin will re-ingest his/her droppings in order to re-balance this bacterial culture] so that there is a continual, orderly processing of plant material. Provision of too many sweet or starchy treats disrupts this orderly processing by causing the sugar-processing bacteria to multiply and overwhelm the cellulose-processing bacteria. The result is that the Chin may experience excessive intestinal fermentation ["bloat"] and/or either diarrhea or constipation. "What are the Chinchilla's exact nutritional requirements?" That's almost like asking what is the exact nutritional requirements for humans. The short answer is that precise dietary requirements are not known and that opinions as well as individual Chin needs will vary. In order the determine the nutrition requirements for Chins, one would need to do a metabolic analysis wherein the total caloric intake is compared with the residual caloric content of the feces while the Chin is maintained in a controlled environment [in terms of temperature, humidity, activity level, etc] . At the same time, micro-nutrient analysis for trace elements would be done. To my knowledge, metabolic analysis has not been done nor is it likely [the procedure tends to be expensive]. One can obtain a rough estimate of the efficacy of a particular dietary regime by tracking such factors as body mass and fat, longevity, activity/energy level, fecundity [number of offspring] , health and size of the kits, growth rates, etc. This type of analysis would entail long-term observation of a group [the larger, the better] of Chins. The best source of such information remains ranchers over the past 5 decades or so. 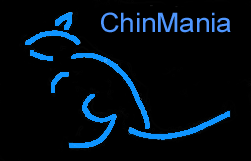 ChinMom reports that, in contrast to Rabbit studies such as those by Dr. Cheeke, modern dedicated feeding trials by nutritional researchers with various formulations on a large number of Chins have not been performed and that older "studies" by ranchers dating back to the 1940's - 1960's have not been replicated nor validated. More recently, data from pet breeders is being reported. Specifically, supplemetation with Vitamin C and Calcium is considered to be beneficial. However, the bottom line is that dietary regimes are basically anecdotal. That is, a particular rancher or breeder will concoct an idiosyncratic diet that presumeably meets the needs of his/her herd. For instance, I've had apparently good "success" with a pellet mixture of 25% Equine Senior Horse pellets, 25% Manna Pro Calf Manna, and 50% Purina Chin pellets as well as a grain mixture of whole oats, whole kernel corn, wheat, oats, barley, sunflower seeds [both types] , and, occasionally, roasted soybean. [The pellet and grain mixtures are given on alternate days.] However, I have not performed a controlled study wherein a control group receives only, for instance, Chin pellets, etc. So the relative quality of my Chin diet is at best subjective. This also applies to every breeder and pet Chin owner.